1. Go to the following address, download the PDF and print out the answer sheet for your students. 2. Use one of the sheets as an answer key (just like using an Apperson scanner). 4. 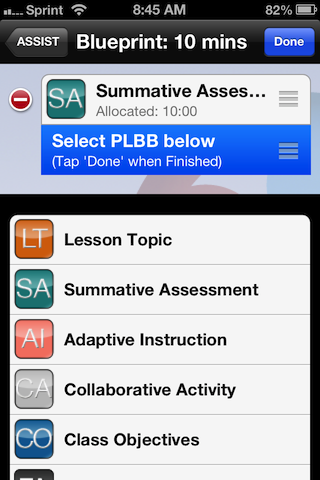 Open the Assist app and choose Summative Assessment from the List. 5. 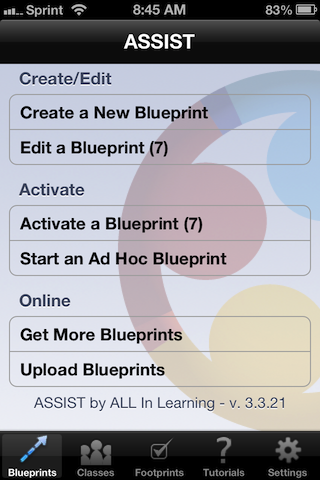 Click Summative Assessment from the Top and Choose Create Blueprint. 6. Follow the instructions to scan your answer sheet and then your student tests. The app will grade the test and display the grade for you to mark on the test. 7. If you enter your student names in the app you can assign the grade to a name and download the list of grades as a group. This can be great for all types of assessment including TCAP practice. With a classroom set of iPads/iPods the app can also administer the questions interactively. The only downside to this free version is the 40 question limit.